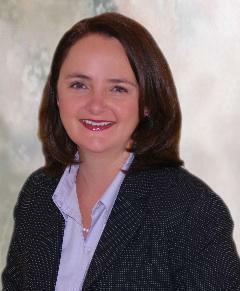 Shannon Giles has litigated cases in Tucson since 1998. She has experience in disputes over contracts, real estate, commercial leases, title insurance, foreclosures and the enforcement of guarantees, construction contracts, business torts, professional liability and trade secrets. She has handled complex litigation to settlement, or completion at trial or arbitration. In joining Awerkamp & Bonilla, PLC, Shannon is expanding her expertise into employment and labor law. Shannon received her LL.B. degree from the University of Alberta in 1996. She then moved to Tucson and received an LL.M. degree from the University of Arizona in 1998. Shannon worked as a litigation associate at Streich Lang, P.A., which merged with Quarles & Brady, LLP, in 2000, from the time of her admission in 1998 until 2005. In 2005, she became a Litigation Partner in Quarles & Brady, LLP. In 2009, Shannon started her solo practice at the Law Office of Shannon Giles, PLLC, and continued litigating in Tucson. She joined the firm of Awerkamp & Bonilla, PLC, in April of 2012 and in January of 2017 she became a partner in the firm which is now named Awerkamp, Bonilla & Giles, PLC. Ms. Giles is admitted in the Arizona Supreme Court, the United States District Court for the District of Arizona, the Judicial Court of the Tohono O’odham Nation, and the Pascua Yaqui Tribal Court. She has been a Steering Committee member in the Southern Arizona Chapter of the Arizona Women Lawyers Association since 2007 and she is an active volunteer for the Volunteer Lawyers Program in Southern Arizona.